Holodomor – one of the most heinous crimes in the history of mankind, was the result of a deliberate political strategy masterminded by Stalin and his totalitarian communist regime. By sheer magnitude, losses during the Holodomor surpassed those of the Ukrainian nation during the Second World War. Ukrainians worldwide continue to suffer the consequences of this merciless act. The Ukrainian Canadian Congress has established a permanent standing committee of the Congress – Committee for National Holodomor Awareness – with the mandate of raising awareness of this crime against humanity and promoting recognition of the Holodomor as an act of genocide. In 2008, commemorating the 75th anniversary of the Holodomor, the Government of Canada officially recognized the crime as a genocide of the Ukrainian people and proclaimed the fourth Saturday of every November National Holodomor Memorial Day. The provinces of Saskatchewan, Manitoba, Alberta, Ontario and Quebec followed with similar provincial legislation. The establishment of a permanent Holodomor Education Fund which will fund initiatives designed to further Holodomor awareness and education. We have a moral obligation to ensure that the personal stories of our survivors are documented and preserved for future generations. As a result, the Ukrainian Canadian Congress, in cooperation with the Ukrainian Canadian Research and Documentation Centre, has been documenting the testimonies of Holodomor survivors living in Canada. These invaluable stories as told by individuals who witnessed the horror of 1932-33 in Ukraine are the focus of a new web site (www.holodomorsurvivors.ca), which will enable visitors to learn about the Holodomor from personal experiences. This documentation will create a lasting contribution to the historical archives. In June of this year an international action titled Svichka Molinnia was initiated by the Ukrainian World Congress. From June to November Svichka Molinnia (Remembrance Candle) will travel through all of Ukraine’s regions and countries around the world. It will also be taken to the European Parliament and United Nations before returning to Ukraine for International Holodomor Remembrance Day. 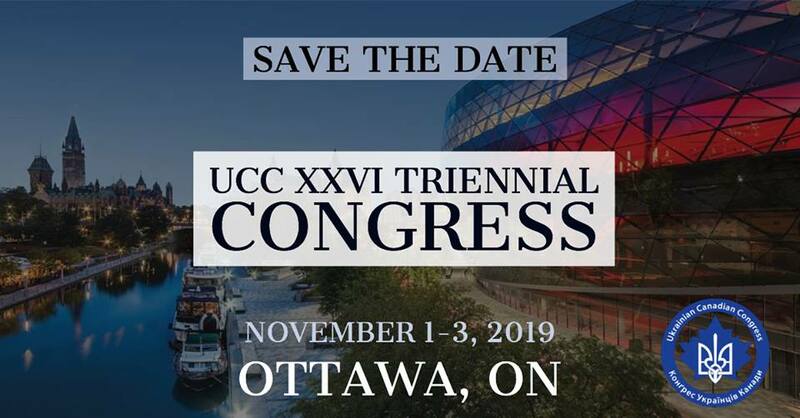 The Remembrance Candle will be introduced in Canada during the XXIII Congress of Ukrainian Canadians to be held in November in Edmonton and will be a symbolic continuation of the successful 2008 journey of the International Remembrance Flame with the slogan Keep the Flame Alive. On Saturday, November 27 honour the memory of the victims with a moment of silence at 19:32 (7:32 p.m.) local time, and light a candle of remembrance in your home. On Sunday, November 28 participate in memorial services which will take place in your local churches. Participate in events organized by your local community. Inform and raise awareness of the Holodomor among your family, friends, neighbours, educators and co-workers. Support the UCC Holodomor Awareness Fund. This is the bare minimum which we, as Ukrainians should do not only for the millions of victims, but more importantly, for our descendants who must always remember the Holodomor and heighten the international community’s sensitivity to the reoccurrence of similar tragedies. November 26, 7:00 p.m. – CYM sponsored – Candlelight Vigil at the Holodomor Memorial site, Memorial Drive and Edmonton Trail. Sponsored by the Ukrainian Youth Association, Calgary Branch. November 28, 9:00 a.m. Prayer service for the victims at Assumption of the Blessed Virgin Mary Ukrainian Catholic Parish, 704-6th Street N.E. 1 Sir Winston Churchill Square. Sponsored by UCC, Edmonton Branch. Book and poster displays, University of Manitoba. Sponsored by Ukrainian Canadian Students Union. November 27, 1:30 p.m. Memorial service in front of the Famine Monument, City Hall. November 22, 6:30 p.m. – Film screening “The Soviet Story”, Ukrainian Cultural Centre, 241 Kenilworth Ave. N.
November 22-28 Holodomor museum in the Metropolitan Wasyly Learning Centre will be open by appointment, Ukrainian Orthodox Cathedral of St. Vladimir, 855 Barton Street East. November 28, 12:00 noon Memorial Service and Commemorative Program, Keynote speaker: Hon. Senator Raynell Andreychuk, Ukrainian Orthodox Cathedral of St. Vladimir, 855 Barton Street E.
– London Ukraine Centre, 247 Adelaide St. S.
– London Central Library, 251 Dundas St.
– Holy Trinity Ukrainian Orthodox Parish, 151 King Edward Ave.
– Christ The King Ukrainian Catholic Church, 707 Nelson Ave.
November 28, 2:30 p.m. 77th Anniversary Commemoration, Ukrainian Cultural Centre, 247 Adelaide St. S.
November 22-27 Black Flag Installation in memory of Holodomor victims, Oshawa City Hall, 50 Simcoe St. S.
November 27, 2:30 p.m. Holodomor Commemoration Ceremony, Human Rights Monument, Elgin and Lisgar Streets. Sponsored by UCC Ottawa Branch. November 30, 7:00 p.m. Holodomor Commemoration Ceremony including the exhibit Holodomor – Genocide by Famine, Government Conference Centre, 2 Rideau Street. Sponsored by the Canada-Ukraine Parliamentary Friendship Group and the Embassy of Ukraine in Canada. November 23, 7 p.m. Public meeting with members of the Ukrainian and Polish communities; Special guests include the Polish Institute of National Remembrance (IPN) delegation from Poland. Canadian Ukrainian Art Foundation and Gallery. Sponsored by the League of Ukrainian Canadians. November 27, 10 a.m. Commemorative Service, St. Volodymyr Ukrainian Orthodox Cathedral, 406 Bathurst Street. Sponsored by UCC, Toronto Branch. November 11, 12:00 noon Screening of the award-winning documentary film Harvest of Despair followed by a discussion with the film’s producer and editor Yurij Luhovy, Dawson College in Westmount. Sponsored by the Dawson Ukrainian Club. November 15-19 Exhibit Holodomor: Genocide by Famine, McGill University Library. Sponsored by the McGill Ukrainian Students’ Association (MUSA). November 27, 3:30 p.m. Commemorative Memorial Service, St. Sophia Cathedral, 6270-12th Avenue, Rosemount. Participation of children from the Ukrainian Saturday Schools, Plast and SUM youth organizations, a symbolic lighting of candles, presentation by historian Prof. Roman Serbyn. November 28, 4:00 pm — The Shevchenko Society (NTSh) Montreal branch, is sponsoring a lecture by Dr. Daria Darewych, art historian and professor of art history at York University in Toronto, titled “Zobrazhennia Holodomoru v Obrazotvorchomu Mystetstvi Poza Mezhamy Ukrainy”. It will be held at the Ukrainian Youth Centre, 3250 Beaubien E. Voluntary donations, everyone is welcome. Sponsored by UCC Montreal branch and Quebec Provincial Council. Date TBA Screening of the documentary film “Okradena Zemlya”, details to follow. The exhibit Holodomor: Genocide by Famine was produced by the League of Ukrainian Canadians. 1. The exhibit will be displayed at the Scarborough Civic Centre, Toronto, Nov 14-28 (the exhibit has already been displayed at Toronto City Hall and the North York Civic Centre). 2. The exhibit will be displayed at the University of Toronto, University of Western Ontario, York University, all in the month of November with each Ukrainian Students’ Club sponsoring the exhibit. 3. The exhibit will be displayed at Edmonton City Hall on Nov 20 and at the Alberta Legislature in Edmonton on Nov 22. 4. The exhibit will be displayed at Ukrainian Catholic and Orthodox Churches across Canada on Nov 21 (we don’t have a list of these Churches). 5. The exhibit will be displayed on Parliament Hill in Ottawa on Nov 30. 6. The exhibit will be displayed in May 2011 at the Mowat Block foyer, 900 Bay Street in Toronto. Three Holodomor-related events, sponsored by the League of Ukrainian Canadians, League of Ukrainian Canadian Women and Ucrainica Research Institute, are scheduled to take place at KUMF (Ukrainian Canadian Art Foundation, 2118-A Bloor Street West) in Toronto and the University of Toronto on Nov 23, 24 and 25. They relate to the visit of a delegation representing the Polish Institute of National Remembrance. This Institute recently published a book of Polish documents on the Holodomor, called Holodomor: the Great Famine in Ukraine, 1932-1933, providing evidence that the Holodomor was indeed a genocide. The Ukrainian Students’ Club at the University of Toronto and the League of Ukrainian Canadians are sponsoring film night scheduled for Nov 26 at St. Vladimir Institute (620 Spadina Avenue). The name of the film that will be shown is The Soviet Story. The League of Ukrainian Canadians, League of Ukrainian Canadian Women, Ukrainian Youth Association of Canada (CYM), Ucrainica Research Institute and the Yuri Lypa Ukrainian Heritage Academy are sponsoring the commemoration of the 77th anniversary of the Holodomor (organized by the Yuri Lypa Ukrainian Heritage Academy) at the Ukrainian Cultural Centre in Toronto (83 Christie Street) on Nov 27.